2 products that handle all types of skin problem areas or issues you may have on your face. The real reason why there is two instead of one is because the Instance Repair Gel actually works in minutes and last all day. The Anti-Aging Serum takes days or weeks, but helps restore and rejuvenate your skin. Both products contain CoffeeBerry, the most potent anti-oxidant that helps your skin cells bring back their youthful appearance. Instant Results! In less than 3 minutes. No need for fillers, needles, appointments, over-night patches, face lifts or waiting for days, weeks or months. This amazing product will smooth out your wrinkles, lines or bags in just minutes and last all day long. Just put a little gel on your finger and tab lightly over targeted areas. Smooth on a very thin layer in one brisk sweep over your skin where you want it tightened up. This is faster, better and cheaper than botox. 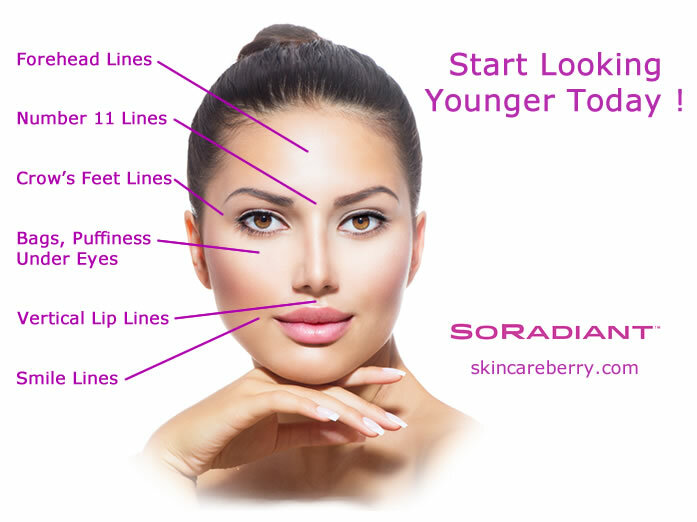 Have you ever wanted your lines, wrinkles or any trouble areas to just be gone? As of September 20, 2014, your wish can now come true. 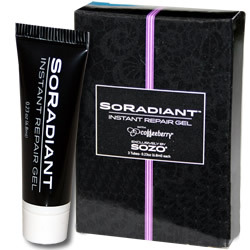 Introducing SOZO’s newest product for the SoRadiant Skincare line: Instant Repair Gel. You have never seen a product work quite like this. Your family and friends will say, “OMG”, as soon as the gel is applied to your skin. Yes, it’s that amazing! !